Optolong City Light Supression / Light Pollution Reduction CLS-CCD Filter - 2"
Selectively reducing the transmission of wavelengths of light pollutants, specifically those produced by artificial lighting (including mercury vapor lamps, both high & low pressure sodium vapor lights, and the unwanted natural light caused by neutral oxygen emission in our atmosphere (i.e. skyglow)). 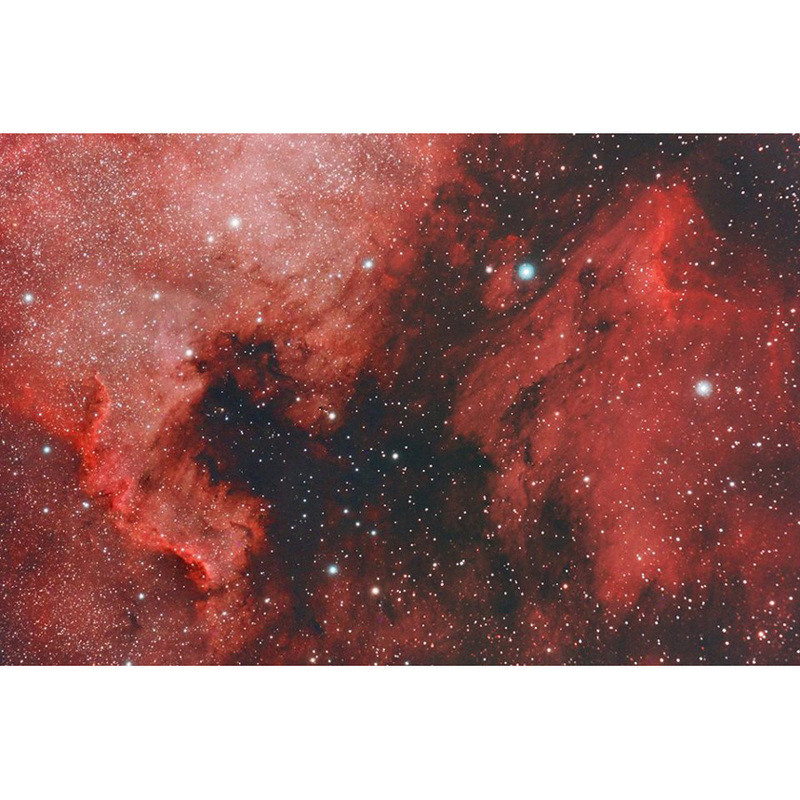 Being highly transparent to the main nebula emission lines at OIII (496nm and 500nm), H-beta (486nm), NII (654nm and 658nm), H-alpha(656nm) as well as SII (672nm). 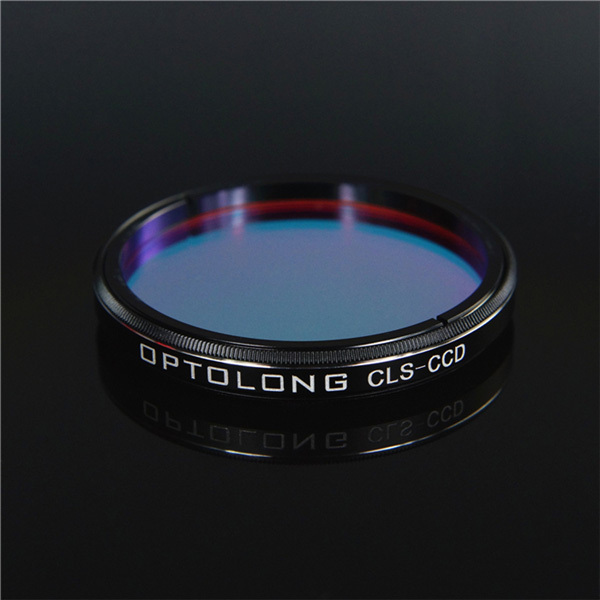 CLS-CCD is the same as the CLS filter with one important distinction - it also blocks out infrared wavelengths (700-1100nm) so a separate IR cut-off filter is not required for imaging applications. Suitable for enhancing the contrast and details for both visual and photograghic purpose. 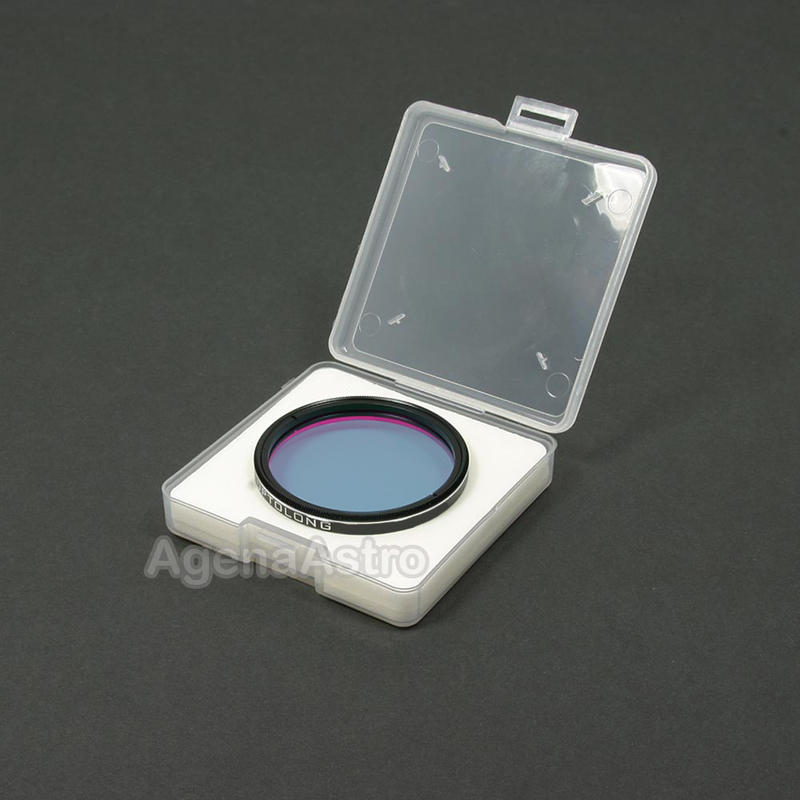 Suitable for color CCD cameras and modified DSLRs for astrophotography. Works well on most emission nebulae, planetary nebulae and supernova remnants. Should provide noticeable boost in contrast and visibility of fainter outer detail. 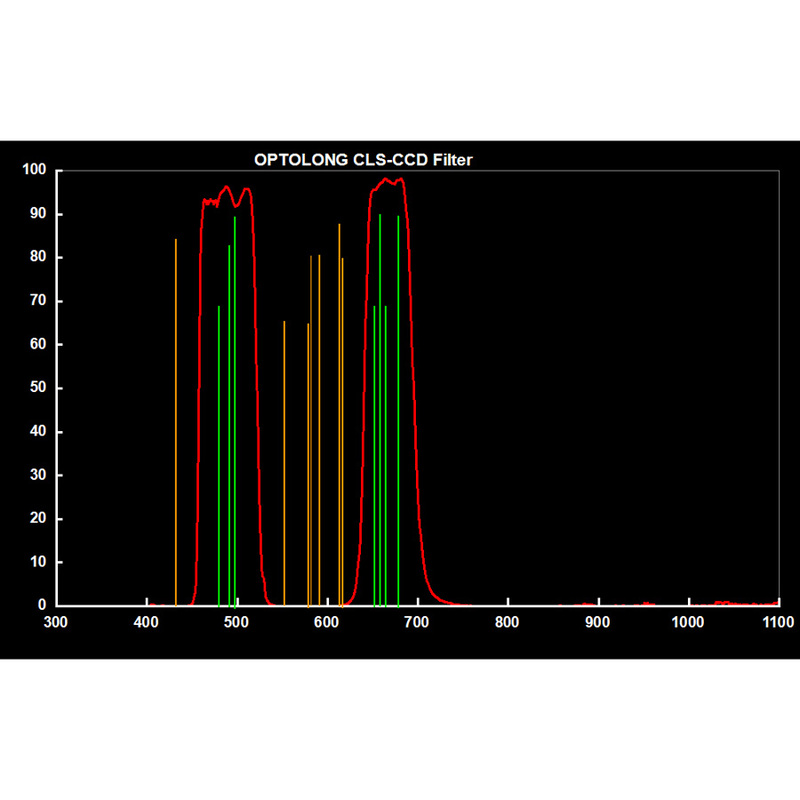 CLS-CCD has a wider passband than a UHC filter and is thus preferred when observing under mild to moderate light pollution from rural or suburban areas. H-beta 486.1nm, OIII 495.9nm and 500.7nm, H-alpha 656.3nm, and SII 672nm. Hg (Mercury) at 435.8nm, 546.1nm, 577nm, and 578.1nm. Na (Sodium) at 598nm, 589.6nm, 615.4nm, and 616.1nm. It also blocks out infrared wavelengths (700-1100nm) so a separate IR cut-off filter is not required for imaging applications. 2" astronomy filter with standard M48x0.75 male filter thread (no female thread, so it cannot be stacked with other filters). 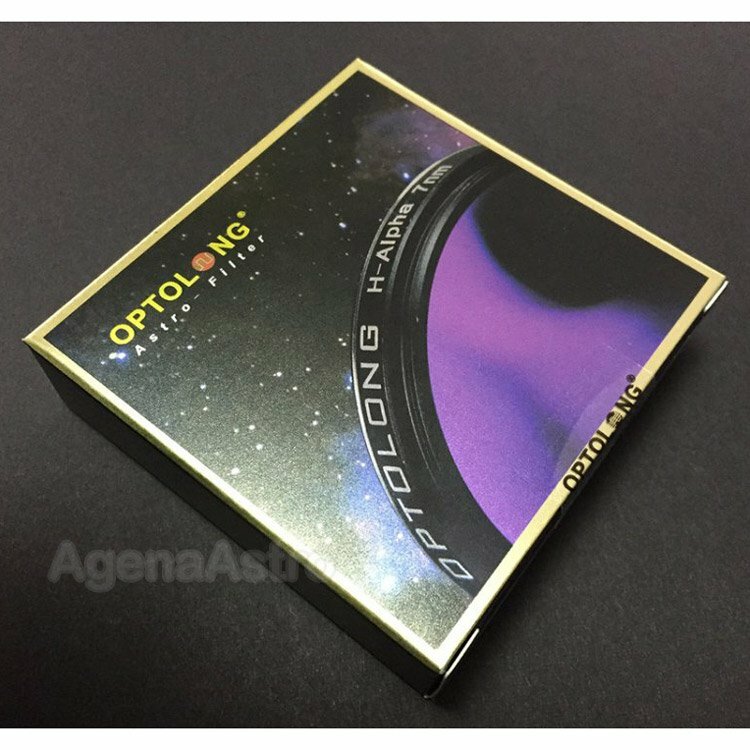 WARNING: Optolong filters are not designed for direct solar observation. NEVER use these filters for observing the Sun, or permanent eye and equipment damage will result.